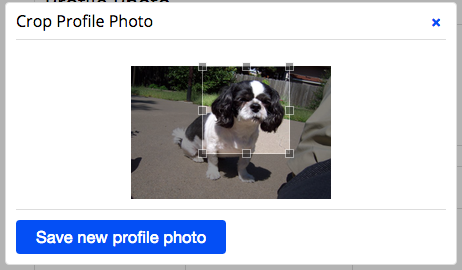 A Profile Photo is the small round photo next to a username. If there is no photo, then the first letter of the username will be displayed. 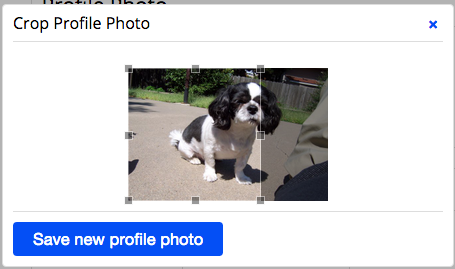 You can add a Profile Photo to your account by selecting a photo to be uploaded, cropping it and when it's saved will be displayed in the circle next to your name. 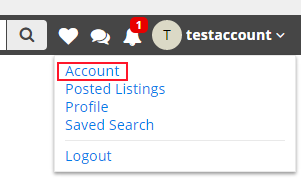 To view your current Profile Photo click on your username at the top right and select Account. You will see your current Profile Photo. To change it select Change Profile Photo. A window will come up and you can select your photo. After you've selected a photo, you will now be able to crop the picture to just the portion you want by using the resizing tool. Drag the tool around, as well as resize it until you get the part of the photo you want to use. After you've cropped the picture select Save new profile photo. Your Profile Photo has been updated.